AL Gore’s blow torch, run out of gas again or maybe he’s taken it to Greenland, on the way to Antarctica which are, like the Arctic basin, both defying alarmists’ dire “ice-free” prognostications! 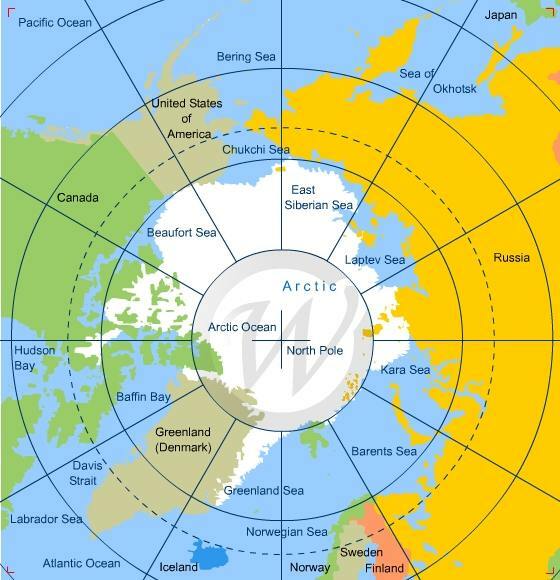 Previous posts described how the Northwest Passage was treacherously laden with ice this year. The image above shows the flash freezing in this region over the last four days. Sept. 19 the CAA ice extent (Canadian Arctic Archipelago) was 320k km2, close to its annual minimum. Yesterday MASIE showed 450k km2, a 40% increase. The graph shows MASIE reporting ice extents totalling 4.74M km2 yesterday, 124k km2 above the 11 year average (2007 to 2017 inclusive). NOAA’s Sea Ice Index is 119 k km2 lower, 2007 was 462k km2 lower, and 2012 1.2M km2 less ice extent. A dip on day 252 to 4.43M km2 will certainly be the daily minimum for the year. With typical refreezing to month end, we can expect the September monthly average will exceed 2007 by at least 300k to 400k km2. YOU will not see this inconvenient empirical data anywhere on the climate-theory-obsessed mainstream media, because it’s good news about the Arctic, and that directly contradicts their relentless bombardment of doom and gloom about Arctic sea-ice and its purported “Death Spiral”. There has been a huge expansion of thick ice over the last ten years. It is late June, but the winter has not abandoned the Gulf of Ob. The shallow bay, which houses two of Russia’s biggest Arctic out-shipment terminals for oil and gas, remains packed with fast ice. It has created a complicated situation, Rosatomflot says. The state company which manages the Russian nuclear-powered icebreakers, confirms that independent shipping in the area is «paralysed» and that LNG carriers and tankers are stuck. The shipping companies had expected the Gulf of Ob to be free of ice in the course of June and that icebreaker assistance would not be necessary. They were wrong. According to Rosatomflot, there appears to be a need for icebreaker services in the area at least until after the first week of July. There are currently two nuclear-powered icebreakers in the Gulf of Ob, the «Taymyr» and the «Vaygach». In addition, there are several smaller tugs and icebreakers working in the waters around the Sabetta port. According to the icebreaker company, this is the first summer in four years that the Gulf of Ob is packed with this much ice. «The global warming, which there has been so much talk about for such a long time, seems to have receded a little and we are returning to the standards of the 1980s and 1990s,» says company representative Andrey Smirnov. AND how we have been repeatedly promised the “end of summer Arctic ice” by the Climate Crisis Industry and sycophant mainstream media! HOW sure they were that your lifestyle and “carbon pollution” was melting away the Arctic and drowning cuddly Polar Bears! EVER noticed how global warming climate change fear-media usually always contains auxiliary verbs; could, should, might? Essential caveats in the climate alarmists’ lexicon that deny long-range predictions the opportunity to be falsified by any conceivable observation. NO doubt Armageddon-Al is a staunch advocate of earthquakes, tsunamis and volcanoes as ‘convenient’ outcomes of your sinful lifestyle! IF “Greens” (Al Gore et al) love nature, why aren’t they more concerned about carpeting pristine landscapes with industrial wind turbines? @AlGore Your ‘Save The Planet’ Legacy – Palm Oil – Is Making Indonesia Warmer! WUWT readers may recall Al Gore’s failed Goldman Sachs palm oil fantasy and the subsequent train wreck. Now, it gets even worse. Deforestation to make palm oil plantations is causing the very thing Al Gore rails against – warming of the climate. Deforestation linked to palm oil production is making Indonesia warmer by up to 10°C ! In the past decades, large areas of forest in Sumatra, Indonesia have been replaced by cash crops like oil palm and rubber plantations. New research, published in the European Geosciences Union journal Biogeosciences, shows that these changes in land use increase temperatures in the region. The added warming could affect plants and animals and make parts of the country more vulnerable to wildfires.